Would you like a look at each of the cards in more detail? First up we have "Happy Moments". I added buttons, glitter enamel dots, a polka dot transparency from Bella Blvd. and a mini polka dot bow to this one, but otherwise everything else is from the Cienna collection. Next we have "Beautiful Baby", again using mostly paper and embellishments from the collection. I added a photo turn, brad, tiny enamel dots and a piece of my favorite mini flair from Feed Your Craft. This one is called "Hello Beautiful Newborn". This time I added a silver polka dot transparency from Bella Blvd., a photo turn, brad, enamel dots and machine stitching. I hope you enjoyed seeing these cards and the different ways you can use the Cienna collection. If you're looking for a fresh collection with a great mix of colors, be sure to take a look at this one. It's perfect for creating projects about those you love and adore. If you've used it, I'd love to see your projects! Be sure to link me up, OK? Absolutely darling cards, Lisa, I especially love the last 2! Great idea to use this collection to welcome new arrivals! Sweet adorable cards Lisa - Love the colors and that adorable rose on the last one - is that a stamp? So sweet and so cute! perfect! This collection looks like it will be awesome to play with! So full of great colors and patterns and dimension! 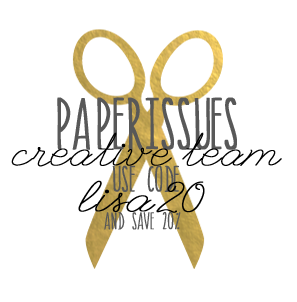 Each of your cards showcases this product to its fullest. My favorite thing is... The vellum scallop circle with the heart in the middle! That rocked! Hope you have a great day! Great set of cards! This is such a pretty collection! These cards are so sweet, Lisa! 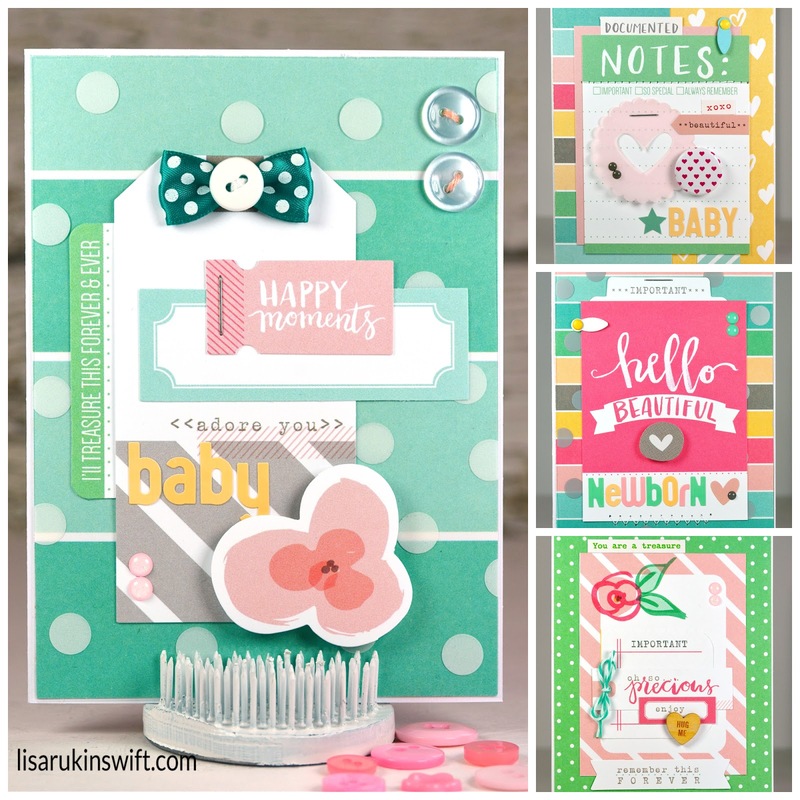 I love the versatility of this collection, and you did an awesome job using it for baby themed cards! Squee! Oh my goodness, Lisa. These are so adorable. I love them all. Perfect little touches. The Bella transparencies look great, too. Love how you used them. Wonderful work with this collection.